Black Friday deal: Save £299 on a Focal Dolby Atmos speaker package | What Hi-Fi? 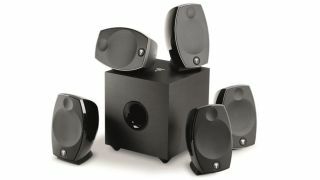 If you want to add a little something extra to your home cinema system this Black Friday, then how about a new speaker package? Focal's Sib Evo package is a 5.1.2 Dolby Atmos set-up which has been discounted heavily at Sevenoaks. Its price has been slashed from £799 to £500. For the money you get three Sib Evo satellites, two Sib Evo Dolby Atmos loudspeakers, each with an upfiring driver on top, and a 200W Cub Evo subwoofer. If you're looking for deals on more home cinema kit, including Blu-ray players, soundbars, projectors and streaming sticks, then head over to our Black Friday home cinema deals for a rundown of all the top savings.